I figured I had only one chance to thru-hike the Appalachian Trail, so I did everything I could think of to make the hike a success. I did lots of reading, both books and online. The internet was an invaluable resource. Besides visiting websites pertaining to backpacking, I visited forums where members discuss trips, techniques, and gear. The gear comparisons were especially helpful in choosing lightweight, affordable gear. I’d never been backpacking before I started planning this hike, so I didn’t own a single piece of backpacking equipment; I was starting from scratch. The other thing I needed in preparation for this hike was experience. As I mentioned, I’d never been backpacking before. My first foray, in 1999, was a solo one-nighter on the AT in Virginia. Talk about intimidated! During the drive down, parking the car, getting the gear out — right up until I had the pack on my back — I was looking for excuses, trying to talk myself out of doing it. But I did it, and it was awesome. Somehow I think I picked the most beautiful spot in the country for my introduction to backpacking, and just knowing that I was on the AT was a rush. In July 2000 I did another solo trip, this time for two nights in Arkansas. I did not enjoy that trip. It was extremely hot and humid, I was crawling with ticks, and the trail was covered with downed trees. My last shake-down hike was Labor Day 2000, when my sister and I hiked a section of the Appalachian Trail in southwest Virginia, spending three nights on the trail. Yes, it rained every day, but at least one of us loved it. And I think the other one would have to admit to some fond memories, too. I didn’t have much opportunity to prepare physically. I purposely gained ten pounds over the preceding winter so I would be starting with a reserve of body fat (the holidays were great fun with no restrictions on my food intake, but I was not comfortable with the extra weight). I wore a weighted book-bag most of the day at work. In the evening, I put on my backpack and climbed the stairs. But really, the only way to get in shape for carrying 40 pounds up and down mountains ten hours a day is to do it. I started slow and got stronger as I went. When people found out that I was heading out on the Appalachian Trail alone, most were adamant that such an undertaking was much too dangerous because “things happen out there.” I always replied that things happen in my hometown, too. I wasn’t worried. I knew I’d have plenty of other hikers around me. Thru-hikers who start out within a week of each other tend to form a close-knit community and watch out for each other. But as my step-off date approached, I found myself becoming less and less confident. I had so many fears: bears stealing my food, mice chewing holes in my pack, towns where I knew no one, road crossings, people, the weather in the White Mountains, the fords in Maine, getting to Baxter State Park too late to climb Katahdin. Was it really all that important to walk from Georgia to Maine with my very survival upon my back? What did I have to prove? Another fear was the loss of the dream. When or if I accomplished this endeavor, what would be left? I had carried the dream with me for years, and once I touched the sign on the summit of Katahdin, it would be gone. What would fill the void? It seemed much like raising children. Years are spent in learning, preparing, growing, and striving. It’s hard, but you keep on, knowing they count on you to shape them into competent, independent young adults. Then it’s over, it seems, in an instant. You’re left wandering aimlessly, without purpose, in a void where once was your life. So there I was, preparing for a journey that was to be a metaphor for my life. I had learned all I could ahead of time, knowing there would always be the unexpected. 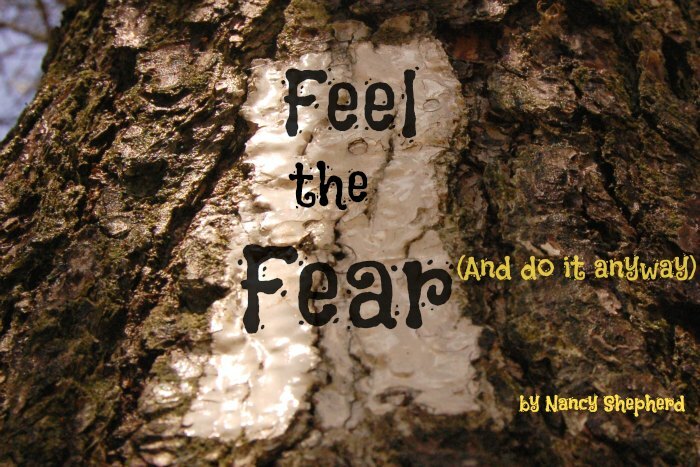 I would face my fears and do what I had to do, knowing there would be no alternative. I’d enjoy the highs and endure the lows. I’d persevere, knowing that someone was counting on me, and that this time the someone was me. 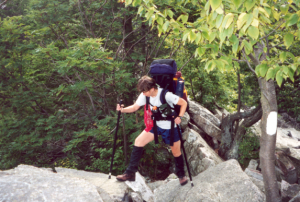 Nancy Shepherd is the author of “My Own Hike: A Woman’s Journey on the Appalachian Trail.” As an accomplished thru-hiker she also maintains her own site right here. She also recently published “Where The Mountains Meet The Sea: Backpacking The International Appalachian Trail.” Check it our right here!